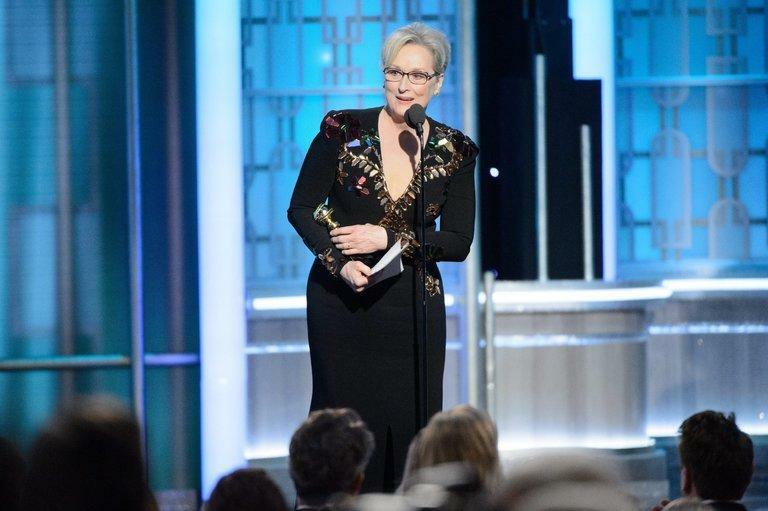 The 75th annual Golden Globes will go down in history as the year all women won. With the red carpet blackout, many stars silently showed solidarity against sexual harassment. However, not all celebrities were so quiet in their celebration. Here is a list of the top 7 moments when women won the night. Earlier this year, over 300 celebrities banded together under the Time’s Up Initiative. For the first public act, black and white buttons were worn on the Golden Globe red carpet. Behind the scenes, this initiative has raised over $15 million. The money will be used to fund the legal fight against sexual harassment beyond Hollywood. Actress Meryl Street invited Ai-jen Poo of the National Domestic Workers Alliance. In addition, Emma Watson brought Marai Larasi, the director of black feminist organization Imkaan. Lest the #MeToo movement be forgotten, creator Tarana Burke was on hand as the guest of Michelle Williams. “Big Little Liers” star Laura Dern brought the National Farmworkers Women’s Alliance member Monica Ramirez. Finally, Billy Jean King was the guest of her on-screen self, Emma Stone. Next Are Women Held To Higher Standards Than Men?